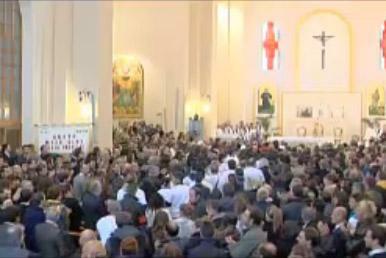 MARCO SIMONCELLI has been laid to rest today in a funeral at his home town of Coriano. 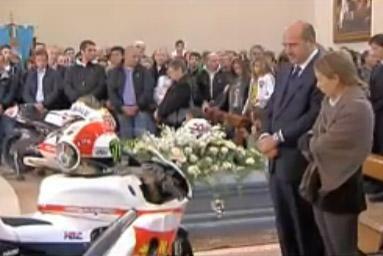 At the service was Marco's family, friends, team members and fellow racers; including close-friend Valentino Rossi, Marco Melandri and Jorge Lorenzo, amongst others. The scale of Simoncelli's popularity has been visible with over 50,000 at his funeral today, two big screen televisions were placed nearby for the thousands of fans in attendance and a third at the Misano circuit. 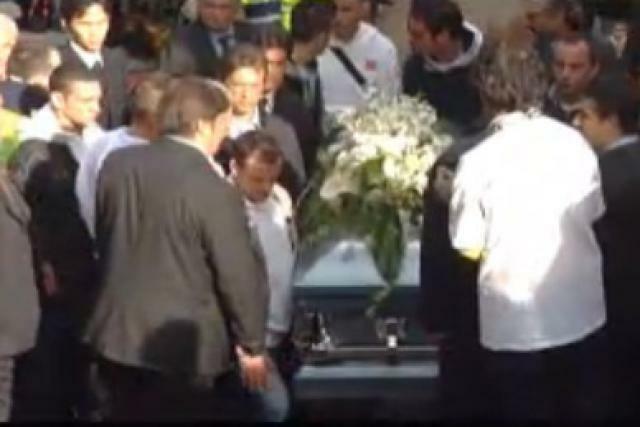 Yesterday mourners were able to pay their final respects to the MotoGP in a public viewing, the casket was flanked by his 250GP championship-winning Gilera and his Gresini Honda RC212V from this year. 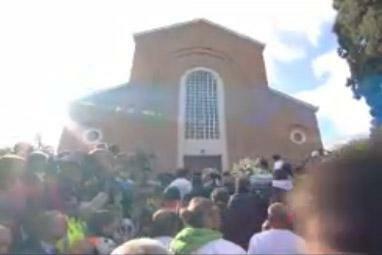 The day was scheduled to come to a close at 10pm but with a vast number of visitors remained open until 2:30am, and again for an hour this morning. Dorna are to retire the number 58 that has adorned his race bikes and a proposal has been put forward to have the Misano circuit renamed after Simoncelli.